The Associated Builders and Contractors is a coalition of free market contractors and other businesses in the construction industry. 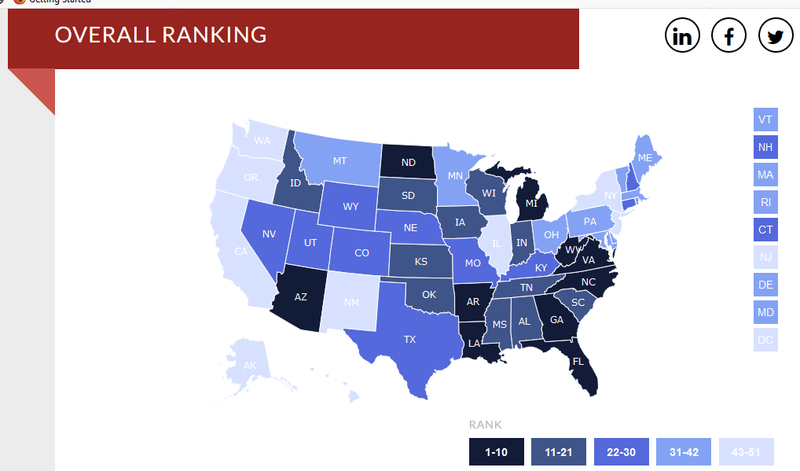 Every year they produce a “Merit Shop Scorecard” which rates each US state on its adherence to free market ideas and the strength of its overall construction industry. At the end of 2015 New Mexico rated a dismal 51st due to its poor legal/regulatory environment and poor economic conditions. Since then New Mexico has risen in the Index and is now 43rd largely due to (relatively) strong economic growth. Alas, no significant economic reforms have been enacted by the Legislature, nor are they expected.